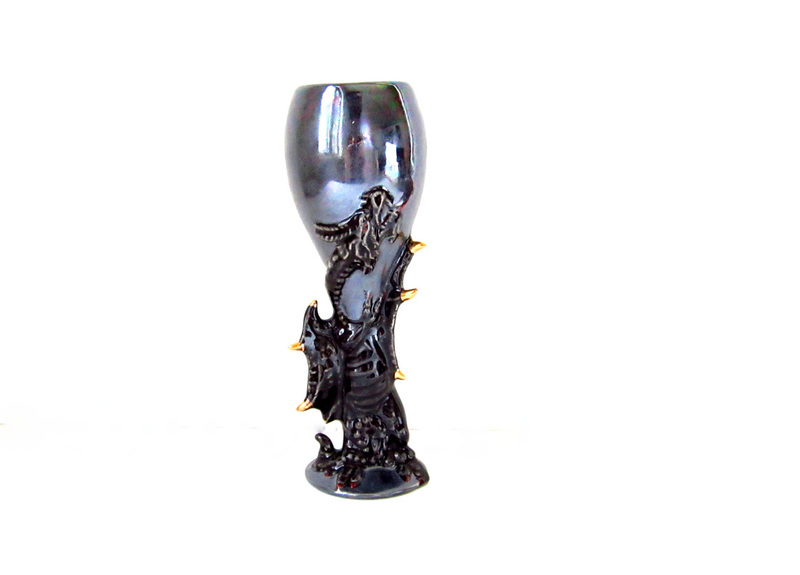 Epic hand painted ceramic dragon goblet or glass with a magnificent lustre finish and real gold (precious metal not paint) tips. 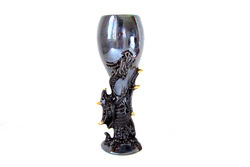 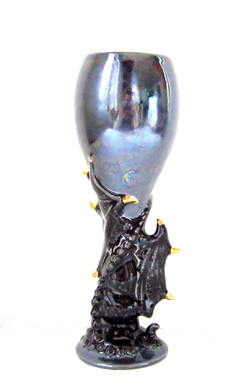 For the dinner table with ample imagination: hand painted dragon goblet. Hand washing is recommended. 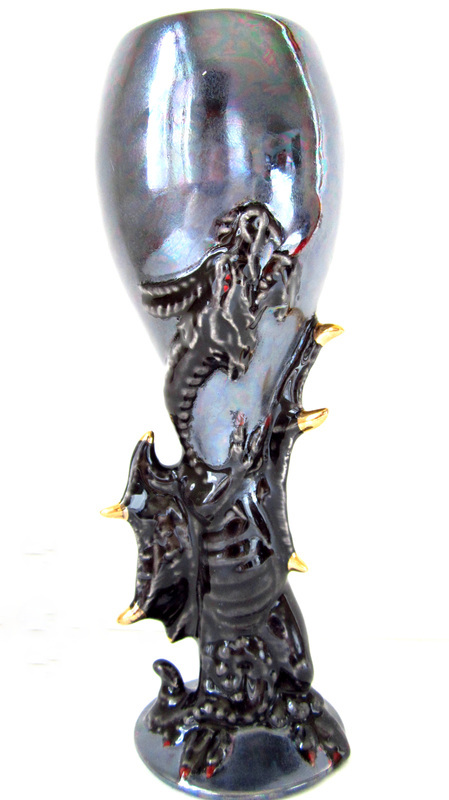 Finished with a non toxic (lead free) glaze. 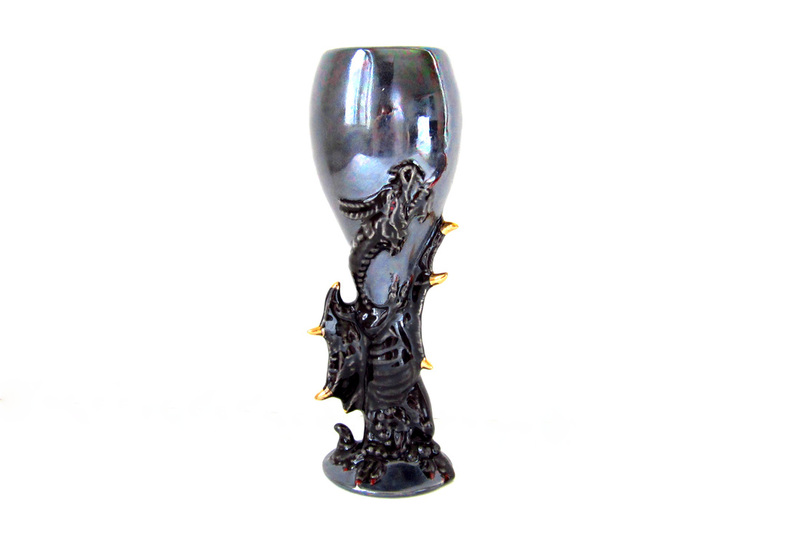 Perfect for wine, mead, or whatever you fancy! ** I hand make this in my studio from start to finish shop: we pour the mold, sand the item of any imperfections, and then fire in one of our studio's kilns. A brilliant lustre finish is fired on as well as real gold (precious metal not paint) tips. 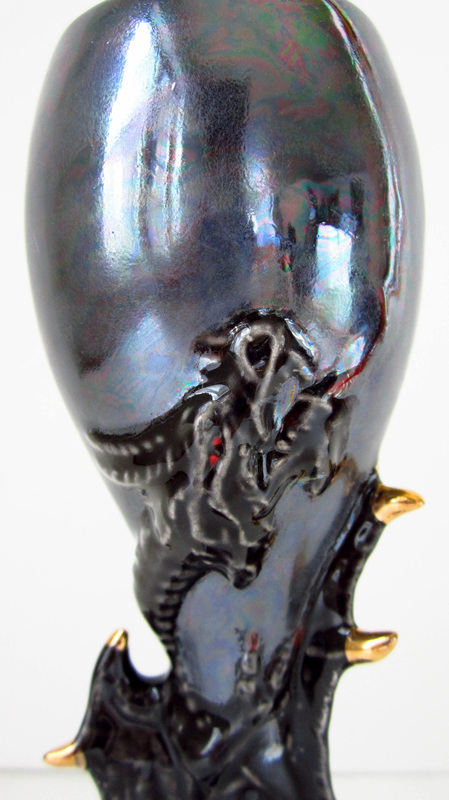 The glaze requires multiple additional firings.